Sales staff can be quite persuasive (probably something to do with commission) – don’t listen to them, they’ll tell you literally anything to make a sale. Just ask yourself this: do you really need it? It might come as a bit of a shock but when and if it happens, don’t start taking out other cards. Leave the shop swiftly and make a financial plan of action. If your debt seems to be spiralling out of control, check out this handy GoCompare guide to help manage your credit card debt. Freezing your credit card in the literal sense is a bit of a silly idea. Although it might stop you using it for a bit, you may be tempted to break the ice if there’s 50% off at Gucci. Even if you tell a little white lie and say the debt-collector’s a stalker ex-boyfriend, he will find you and catch you – then everyone will know he’s not actually your stalker and you’re in some serious financial hot water. Although an appreciation for luxury fashion labels is always good knowledge to have, it really won’t help pay off your credit card debts. Try and avoid any shop that’s likely to evoke the big spender in you. As a credit card isn’t ‘real’ money, it’s kind of difficult to think of it in that kind of way. If you fail to pay your initial bills, you will get stung with more and then wind up paying loads in interest. Make sure you pay your credit card bill in full every month; minimum payments only amount to more interest. It’s so easy to get caught up in the fashion hype. 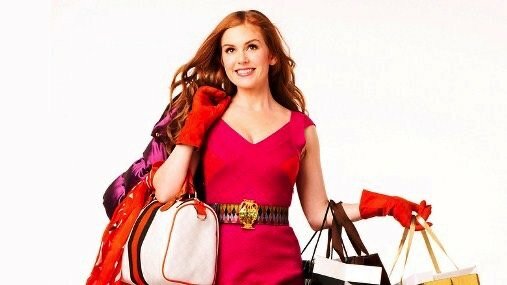 Having nice stuff doesn’t affect your quality of life, and when you get a huge credit card bill you’ll probably forget about what you actually bought. Although Rebecca describes them as ‘magic cards’ it couldn’t really be any further from the truth. Every penny you spend on a credit card has to be paid back, sometimes with added interest. Probably the oldest saying in the book, but it’s totally true. If you’re worried about money make sure you talk to someone about it and start to put some sort of plan into action. If your spending is getting out of control, don’t be afraid to ask for help – independent services such as Citizens Advice Bureau are great people to talk to. Like anything, cost is completely subjective. You might spend £200 on a green scarf, while someone else finds that price horrific. Weigh up your options and ask yourself if the item is really worth how much you’re paying for it.